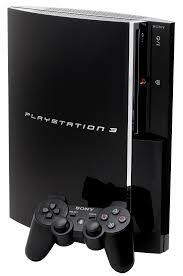 PlayStation 3 Console Repair Leyland Preston. Why Won’t My PlayStation Read Discs?. Usually this means the Laser is faulty or in need of of clean PlayStation lasers will cost an extra £20.00 to replace , we will call you before replacing the laser to ask for a go ahead this way your not hit with hidden costs etc. Why Has My PlayStation 3 Got The Yellow Light Of Death ? It could be that the hard drive has become corrupt. This could be that the system has had a bad update, or a more serious hardware problem, the power unit may be damaged due to a surge or even more serious the chips or solder on the main board (motherboard) have become loose, faulty or the graphics chip has overheated. A red light or a flashing yellow and red light means that the system needs attention and opened up. FROM YELLOW LIGHT OF DEATH TO DISC READ ERRORS WE CAN FIX ALL TYPES OF PLAYSTATION ERRORS. PLAYSTATION 3 REPAIR COSTS : £45.00 for yellow loght and playstations that don’t turn on if the laser needs replaced £67.00.